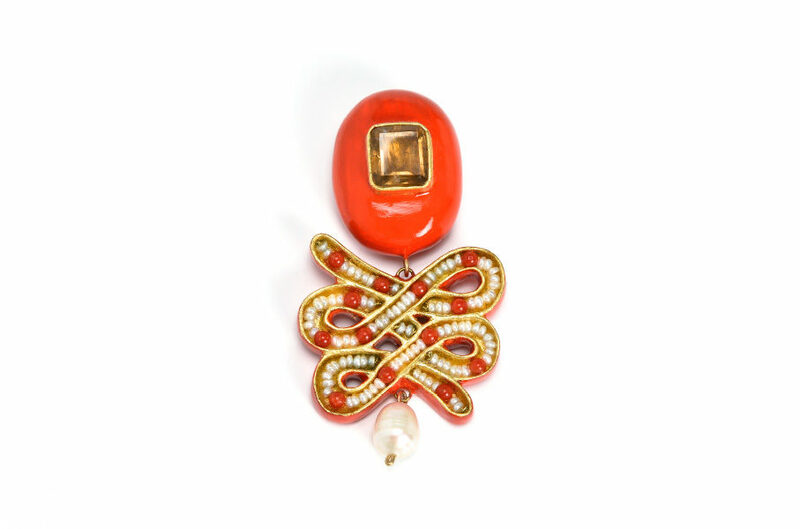 Unique piece of jewellery: Brooch Periplo, 2013. Materials: papier-mâché, gold 18kt, citrine, coral, pearls, paper, gold leaf 22 kt. A tiny labyrinth of feelings within a precious enclosure hides a mystical path that invariably leads to wisdom.